* All varieties are packaged in an innovative built-in measuring cup pouch. I love that Better Oats oatmeal has a slightly lower sugar content that the other brands -- 10, 11, 12 grams of sugar per serving for most of the ones I've seen, versus 13 grams or higher (can you believe, 20 grams of sugar for the Dinosaur Eggs oatmeal?). And adding the flax seed makes it healthier, and I feel fuller with less oatmeal. There are so many interesting flavors, like Blueberry Muffin, Oat Heads Berry Blast (judging from the cartoon characters on the box, it supposed to be a kiddie flavor, but I love it), Chai Spiced, even Dark Chocolate. Some flavors really don't appeal to me, like the Chocolate, but The Pea says it's her favorite flavor. To each his own, I guess. My kids love the cute cartoons on their Oat Heads kids line, but it's not just a pretty box. It saves space and it's made from recycled materials, too. And I love how they designed their pouch to serve as a measuring cup. Even my kids can pour water (or a mix of water and milk) until the dark fill line printed on the pouch. It's visible from the inside and the outside of the pouch, so you don't have to keep turning it back and forth while you're pouring water inside. And it's just the amount of water you need for the perfect bowl of oatmeal. Now my kids prepare their oatmeal all by themselves; all I have to do for them is transport the hot bowl of oatmeal from the microwave to the table. Score one for the lazy mom! Given the high quality of Better Oats, I fully expected this product to be available only at gourmet stores or healthy, organic grocery stores, at a price premium. Imagine my surprise and delight when I found it at our local Safeway grocery store, for the same price as good old Shaker oatmeal! Every time I go to Safeway now I buy a couple of boxes of Oat Heads or Oat Fit because I'm paranoid that someone at Safeway is going to wise up to how good these products are, and raise the price. There are still some versions of our regular brand that we prefer to the comparable Better Oats version. For example, none of us liked the Better Oats Apples and Cinnamon flavor. 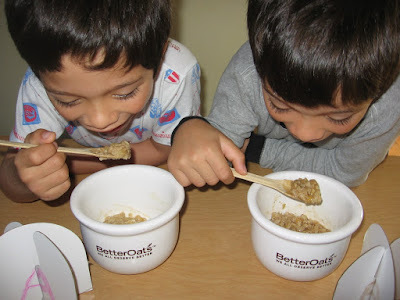 But then again, we all preferred the Maple-Syrup flavored Oat Heads (the kiddie version of Better Oats) to our regular Maple-Syrup flavored brand oatmeal -- and the Oat Heads version is still lower in sugar (12 g per serving for Oat Heads versus 13 g per serving for our regular brand). With its superior cost, nutrition and taste, Better Oats is going to become our "regular brand" from now on! 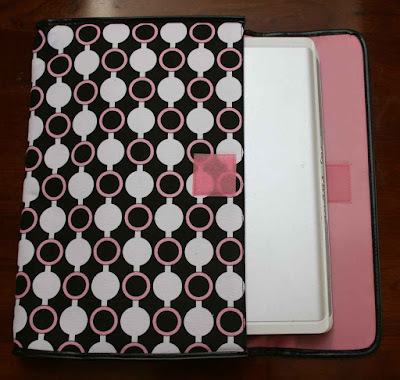 Here are some great giveaways currently running around the blogosphere. By blogging about these giveaways I do gain an extra entry to each giveaway, but you are welcome to enter as well and try your luck! 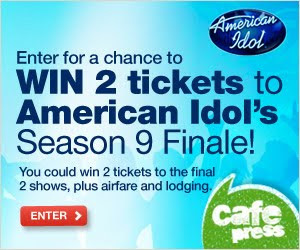 Cafe Press is giving away a trip for 2 to the American Idol finals. Best Kids Apps, a blog about iPhone apps for kids, is giving away an iPad. Health, Beauty and Family is giving away a Nintendo DS Lite. Tech Savvy Mama is giving away a Black Mountain Jewelry piece for Mother's Day. 1) A work of art. I know, it sounds hokey, but you can put one of your child's better pieces of artwork into a nice frame, and it will look great hanging up on your mom's wall. Even if it is the wall of her laundry room or some out-of-the-way place! 2) Photo gifts. There are a million gifts out there that you can put photos on, for proud grandmothers to display to their friends. My mom LOVES mugs emblazoned with photos of her grandchildren on them. I also like tote bags with photos of the grandkids, or bracelets with charms featuring grandchildren's names or photos. 3) A cake. It doesn't have to be breakfast in bed, but you and your children could bake a cake or cookies or some other dessert, and take it to Grandma's house on Mother's Day. 4) A show. Instead of asking your mom to babysit your kids, treat your mom to a show or a movie that even the kids can go to! 5) A card. Whatever your children get her, make sure it comes with a nice card signed by all your kids. If they're too little to write, put their handprint on the card to give it a personal, thoughtful touch. And what am I getting my mother for Mother's Day? Well, I’m participating in a Mother's Day contest at Best Kids Apps, a blog about iPhone apps for kids, for a chance to win an iPad. Thing is, even if I got incredibly lucky and won, I doubt if my mom would know what to do with an iPad! So I guess I'll just have to keep the iPad for myself, and get my mom something else. After all, I am a mom too...... right?? Zhu Zhu Pets for Nintendo DS allows players to care for and play with their favorite toys virtually. Players will race their hamsters through different mazes to collect carrots, coins and new hamster friends and babies. It's an endlessly enjoyable game that lets you have fun with Zhu Zhu Pets anywhere! The virtual Zhu Zhu pets act just like the "real" Zhu Zhu pets! I've always liked the cute sounds that Zhu Zhu pets make, and the videogame replicates those sounds perfectly, without any hint of annoying electronic tinny-ness. I love how they can "earn" new Zhu Zhu pets the more they play the game, so they feel like they have a lot of Zhu Zhu pets even though they're all virtual, even though we're still not quite sure what they have to do to earn them. And I really appreciate how each game can have 3 accounts associated with it (a perfect number for me, since I have 3 kids! ), and how each account can have multiple pets. As I mentioned, we're still not really sure what the kids have to do in order to "earn" new Zhu Zhu pets. Also, I'm not a fan of the cartoon-y graphics, I prefer a more "realistic", 3D look. But then again, the kids don't seem to care. The Zhu Zhu Pets videogame for Nintendo DS is a great way to extend your kids' Zhu Zhu playing fun because they look, sound and act just like their furry plush counterparts. It's a must for any Zhu Zhu Pets fan! Best Kids Apps is a blog about iPhone apps for kids, written by moms for moms. They try out iPhone apps for kids, post reviews and sort them by age and category. If you're a mom with an iPhone, it's a great resource. Check them out! If you have a Webkinz account, don't forget to log on to Webkinz on April 29 -- it's Webkinz Day, and they'll be giving out free fun stuff for your virtual pets! You'll get a slice of their 5th birthday cake, for one thing, as well as a surprise gift box and the chance to spin their Super Wheel for great prizes. I'm posting this to remind myself as much as anybody, since my kids will feel terrible if they miss it. Happy Webkinz Day! This morning I had the pleasure of interviewing organizational expert Peter Walsh, who appears on TLC's Clean Sweep and on the Oprah Winfrey show. Last year I did an OfficeMax blogcast with Peter about getting organized for school, so when I received the invitation, I didn't hesitate. After all, summer is coming up and the thought of the kids dumping all of this past schoolyear's garbage on our kitchen table is filling me with dread! Not to mention all the summer camp and travel scheduling. I thought it would be a great opportunity to pick Peter's brain for more organization tips. You can check out my interview with Peter below. You can only see Peter because I was on the phone (although if there had been a video camera on me, you would have seen me waving to Peter's image on my computer screen like an idiot, because I totally forgot that I was calling in and that he couldn't see me!). As usual, I got some great tips. For example, Peter suggested a wall-based, modular message center -- with some of the modules at kids' height, so they can get involved as well! I think that's a great approach and one I never considered. As always, Peter advocates maintaining flat surfaces free of clutter. Peter also talked about his own organizational challenges (yes, he does have some!) and about his new line of products with Office Max, called you.organized. 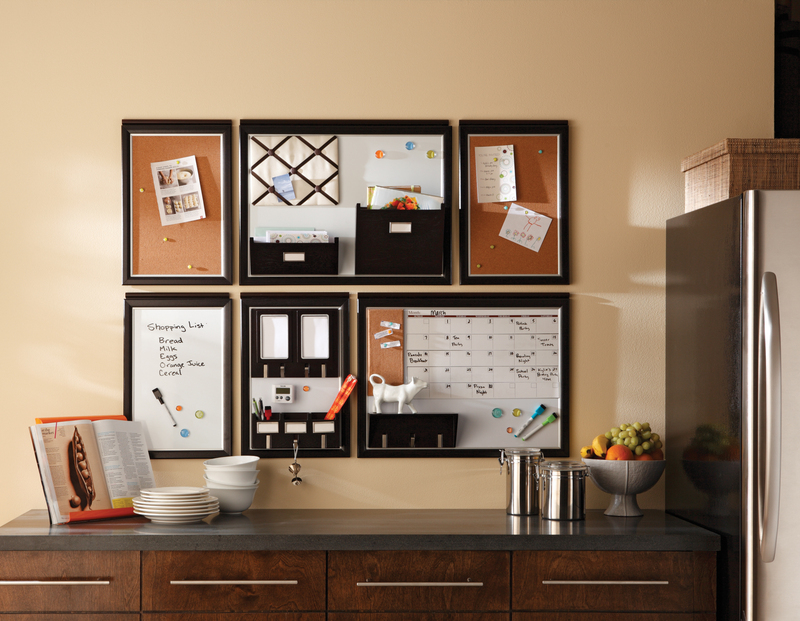 Thanks to Peter and Office Max for all the great tips! 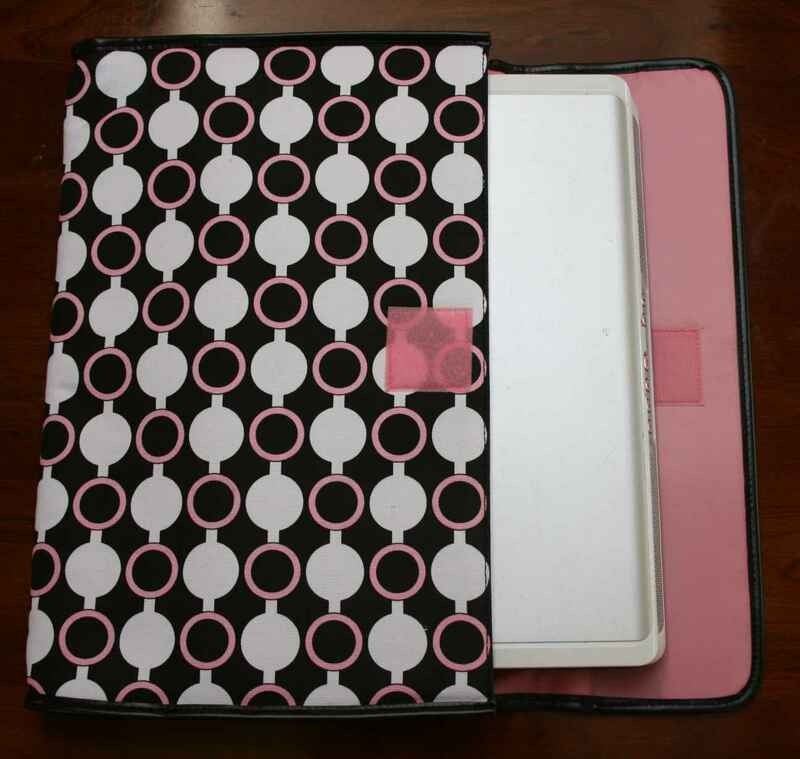 Nuo Tech, LLC, designs technology cases for today's fashionistas and mobile professionals. The complete collection includes Nuo-branded messenger bags and sleeves, as well as a fashion line designed by Kailo Chic that includes smartphone pouches, netbook and laptop sleeves, messengers and totes. They now also have an eco-friendly line of totes, sleeves and messenger bags that ease airline travel and protect netbooks, laptops and other mobile gadgets. Nuo Tech sent me a Slim Sleeve laptop case from their Kailo Chic collection. They must be clairvoyant, because they sent me a design in my all-time favorite color scheme: pink, white and dark brown! Maybe they just took note of the colors on my blog, but whatever the case, they won big points with me for their designs. Everything from their laptops to their messenger bags to their cell phone holders screams Chic Style; you wouldn't even guess these bags serve such a mundane, utilitarian purpose because they're so fashionable! 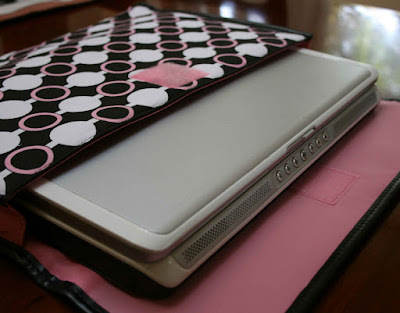 The laptop sleeve gets even more points for being so practical -- it's nicely padded, but still slim enough for you to tuck it into a larger tote without looking like a bag lady. Also, you don't have to take the laptop out of the sleeve when you go through airport checkpoints. But I have to bestow the biggest points on this line because it's made of eco-friendly material. Stylish, practical and earth-friendly, what more do you need? The case they gave me fit Alfie's Dell Inspiron perfectly, but was too large for my small laptop. Given the increasing popularity of netbooks, and now the iPad, I'd love to see more designs for the smaller-sized portables! Stylish, practical and eco-friendly, Nuo Tech cases have everything you want to protect your laptops, netbooks and phones. Save 20% at the Nuo Online Store! At Nuo Tech, the Earth Day celebrations are still going strong: purchase a product from Nuo's online store before April 30 and receive 20% off! How to Train Your Dragon launches gamers into a third-person action-adventure as a Viking hero where they must embark upon an epic quest to become the ultimate dragon trainer. Gamers can play as characters Hiccup or Astrid on the vast Island of Berk, which features expanded locales from the film including Vikings Village, Wild Zone, Training Zone and Fight Arena. 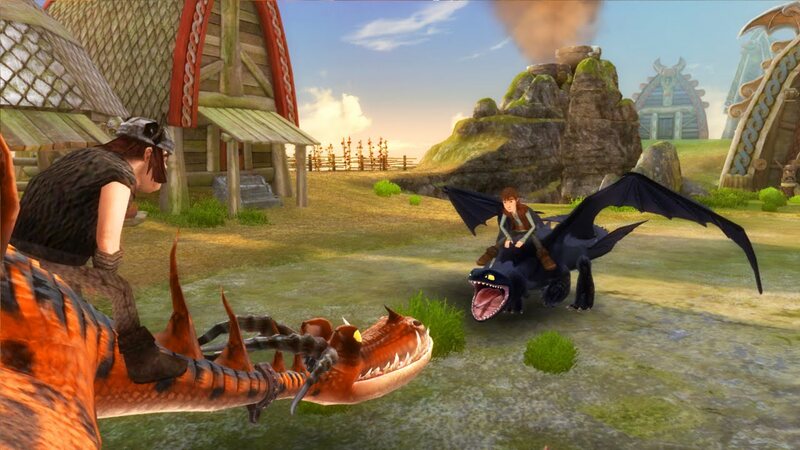 In this truly larger-than-life adventure, players will train dragons, explore environments and battle in prestigious dragon tournaments as they battle for Viking victory. Plus, gamers can become the Dragon hero of their living room as they square-off with friends and family in endless head-to-head multi-player combat! My kids are really loving this game! They get to take care of dragons, train with them and complete challenges with them. We haven't even watched the movie yet and they feel like they know all the dragons already. There's a lot of confidence building and instant gratification in this game, like getting rewarded for completing challenges by gaining the ability to customize your dragon, or getting more dragons to take care of. which is great for young kids (my 6-year olds have no problem figuring out how to play this game, even though it's supposed to be for ages 10+ and they're not too good at reading instructions that show up on the DS screen). The graphics in this videogame are really superb, and look like scenes straight out of the movie (here's a screenshot from the Xbox360 version of the game). As a parent with 3 kids, I like that the game is "funny" rather than "violent". I also love the fact that they can play on separate accounts, which minimizes the bickering and "why did you mess up my game!" complaints. Even though you can have separate accounts in a single DS game, all the accounts are represented by either a girl or a boy icon -- so The Pea would have to play as a boy since 3Po and Jammy already started playing as boys. I don't know how it works with the other platforms but I think this is an unfortunate limitation that would have been easy to do away with. How to Train Your Dragon, the videogame, is a great way for kids to take all the fun of the movie home with them and continue their dragon adventures! 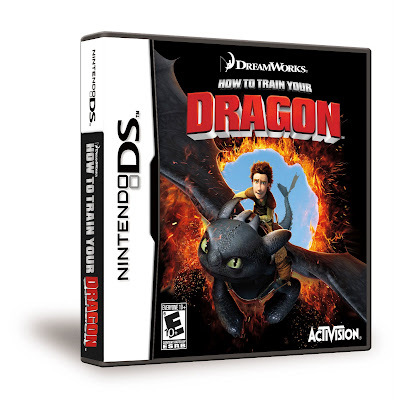 Three lucky Bonggamom Finds reader will receive a copy of the How to Train Your Dragon videogame. To enter, simply leave a comment on this post and tell me which platform you want -- Nintendo DS, PS3 or Xbox360 . Note: I have one game for each platform to give away, so pick the platform you really want because that's the drawing you'll be entered in! 5) Fave Bonggamom Finds on Technorati (leave a comment with your Technorati id). 8) Click on this link and enter the CafePress American Idol sweepstakes (leave a comment here telling me you've joined -- this is only valid till April 30, 2010). Maximum of 9 entries per person. This giveaway ends at midnight PST on May 20, 2010; I will draw three winners at random on May 21 (1 winner from the pool of commenters who want a DS game, 1 winner from the pool of commenters who want a PS3 game and 1 winner from the pool of commenters who want an Xbox360 game) and post the winner's name after the winner confirms acceptance. For additional giveaway rules, click here. Good luck! Disclosure: I received a product sample to review, and additional samples to give away, but was not paid to review the product or give my opinions. Unless clearly stated, the views and opinions expressed here are my own. Remember all those iTampon and Aunt Flo jokes when the iPad first came out? I think Steve Jobs is laughing all the way to the bank. Right now the reviews are mixed, but the iPads keep flying off the shelves! Apple just seems to have a talent for making things people want (or convincing them they want it). I'm no exception, which is why I’m participating in a contest at Best Kids Apps, a blog about iPhone apps for kids, for a chance to win an iPad. Wish me luck! Disclosure: I did not receive a sample or monetary compensation for this post. By posting this, I am entering a contest for the chance to win an Apple iPad. The views and opinions expressed here are my own. I've always known I'd end up wearing glasses sooner or later. You can't argue with genetics: both my parents wear them, and my sister got her first pair of before she turned ten. In addition, I was an avid bookworm, and I would read lying down, in the car and in the dark (sounds like Green Eggs and Ham, doesn't it). My parents told me I was straining my eyes but I didn't really listen. My vision was perfect and I didn't understand what it meant to be nearsighted, except when I tried their eyeglasses on for kicks and saw everything blurred. Still, I managed to hold out until early adulthood. I got my first pair of prescription glasses when I was in college. I didn't need them all the time, just when I was sitting at the back of the room and needed to see what the professors were writing on the chalkboard. I didn't even care what they looked like, I just got the cheapest pair that I didn't have to wait two weeks for. My vision stayed at about a +0.5 grade in both eyes all through college, and rose only slightly, to about +1.0 or +1.5 over the next 4 or 5 years. It was only when I entered business school that I realized I could no longer see well enough to drive without my glasses. From then on I wore glasses full-time. They became a part of my face, and I really began to pay attention to what the frames looked like and how they suited me. I've never found it easy to find a pair of glasses that flatter my face and my features. I have a square-ish, wide set face and many times the frame is too narrow for me. Most optician's offices and eyeglasses centers have a good choice, but half of them are too narrow, a quarter of them I just don't like, and the rest are too expensive. I'm so glad there are online sites that sell a wide range of prescription eyeglasses for all face shapes, personalities and prescriptions! If it's true that the eyes are the windows to the soul, then my glasses frame my soul -- they are one of the first things about me that people (pardon the pun) focus on, so it's worth investing my time and money to find a pair that suits me. Disclosure: This is a sponsored post by GlassesUsa.com. The views and opinions expressed here are my own. What's the best Outlet Shopping Deal you ever had? TwitterMoms and Gap Outlet have teamed up to bring savers everywhere a great "SUMMER SAVINGS for YOU & Your Little Ones" discount, and to celebrate, they're inviting TwitterMoms members to share their Greatest Catch stories. No, I don't mean the slimy, fishy kind. I mean those great outlet deals that you stumbled on and couldn't believe you scored! I love outlet malls because I can get great brand name clothes and accessories at unbelievable prices. There's a great outlet mall about 50 miles from where I live, so every now and then (especially when relatives visit from the Philippines) I make the 45-minute drive over and spend the afternoon there (and when my aunts are the ones visiting, we usually stay until the place closes!). Given the amount of time I spend shopping at US outlet malls, it's kind of strange that the best outlet deal I ever scored was in an outlet mall in the UK. My mother-in-law and I were strolling around an outlet mall near Swindon, a city about 90 miles west of London, when we saw people staggering out of the mall with gigantic Next shopping bags. Next is a popular UK clothing brand similar to Gap, and I love their clothes but like almost everything else in the UK, the prices are higher than comparable items in the US, so I usually have to restrain myself when I go into a Next store. Not that day -- the whole Next outlet store was on sale, with EVERYTHING selling for £4 or less! That's about $6.15! No wonder people were buying everything up. I went crazy. I bought beautiful cable-knit sweaters, toggle coats and suede skirts and a rain slicker for The Pea. The price tags said £12, £16, even £42, but I only paid £4. I bought leggings and blouses for myself, trousers for the boys. All £4 or less. I joined the hordes of people with giant plastic bags -- and giant smiles on their faces. What a deal! Save 15% at the Gap and Banana Republic Outlet Store! I don't think I've ever seen a discount coupon for an outlet store so this is a great opportunity to save! Twittermoms has teamed up with the Gap and Banana Republic Outlet Stores to offer you coupons for an extra 15% off purchases of over $75 and $100 at the Gap and Banana Republic outlets, respectively. The coupon expires on May 5, so hurry and use it! To see and print the coupon, click here. Disclosure: I wrote this blog post while participating in the TwitterMoms and Gap Outlet blogging program to be eligible to get a $20 gift card. For more information on how you can participate, click here. The views and opinions expressed here are my own. 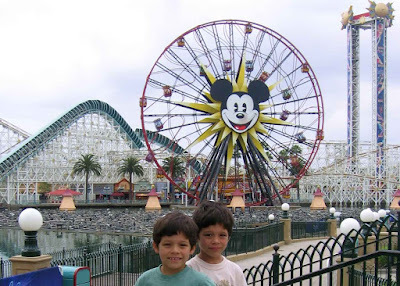 Last year I wrote a post about my ultimate Mother's Day present: spending Mother's Day weekend at the Disneyland Resort. Yes, I love Disney to death, but no, I'm not saying this is the perfect present just for Disney lovers -- actually, any mom who loves food, wine and pampering would love it, because just like last year, Disney's California Food and Wine Festival will be in full swing on Mother's Day weekend. Disney’s California Food & Wine Festival will create culinary experiences for guests of every palate – April 16 through May 31 – at Disney’s California Adventure park and select locations across the Disneyland Resort. 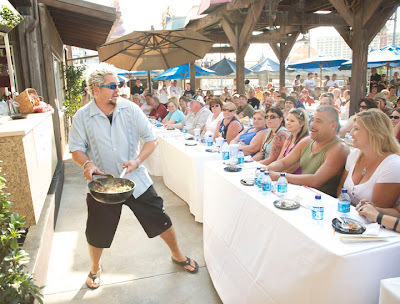 Chefs, winemakers and brewmasters will celebrate The Art of Flavor at this year’s tantalizing festival, which features entertaining culinary demonstrations, outstanding wine and spirits seminars, and delicious food, wine and beer. There will be cooking demos run by Disneyland Resort chefs and celebrity chefs, including one of my favorite Food Network dudes, Guy Fieri. There will be a cooking demo especially for kids, a "Taste of California" marketplace, a weekly Sweet Sundays event that sounds too delicious to be true, and so many other events you just have to go to the event page to read all about it. It sounds like Disney is taking your run-of-the-mill food and wine festival, sprinkling some Disney fairy dust on it and taking it to the next level, like only Disney can. My mouth is watering just thinking about it. Now do you believe me when I say it would make the perfect Mother's Day present? Quick, Alfie, there's still time to surprise me! Happy Earth Day, everyone! People seem to talk a lot about making small steps to reduce our impact on the planet, and here's another small step that can make a big impact -- if a family of four switched to paper products made from 100% recycled materials, they could save two trees a year. Imagine what a whole nation could do! Marcal makes toilet paper, napkins and paper towels from 100% premium recycled paper, not trees. They are available at Walgreens and other retailers, and typically sell for equal to or less than traditional paper goods because Marcal doesn't use expensive dyes or fragrances in their products. Our 100% premium recycled eco friendly products are hypoallergenic, virtually lint free, and whitened without chlorine bleaching. 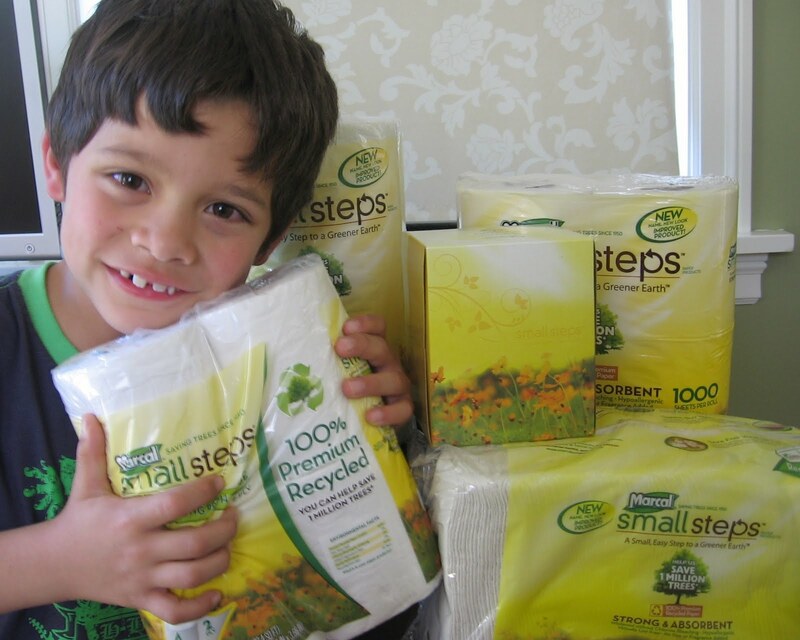 Small Steps® bath tissue, towels, napkins and facial tissue contain just the right combination of strength, absorbency and softness to handle every job. * The paper looks clean and white, even though they do not use chlorine bleaching. * The paper towels are nice and absorbent. * I'm glad they haven't added any dyes or fragrances because I hate perfumed products. * I love how the paper napkins come in a plastic bag that has a drawstring, so you can seal it up to protect the napkins that are still in the bag. * Usually, when you're talking about paper products, the phrases "feel good" and "gentler" refer to your skin, but in this case I feel good when I use this product because I know it's gentler on the environment. I'm not going to pretend that the paper is as soft as most of the regular brands on US supermarket shelves, but frankly it's a costly luxury so I'm not holding it against Marcal, or any recycled-paper product. It takes a lot of trees to get all that softness, and it might be time to break that habit. Hey, if the Europeans and Latin Americans can live with rougher toilet paper for the sake of the earth, so can we! I wish they made jumbo toilet paper rolls so we wouldn't have to keep changing rolls every few days! Their 2-ply bathroom tissue rolls come in rolls of 168 sheets per roll, whereas conventional brands have mega-rolls with 250, 300 and more sheets per roll. Think of the number of toilet roll centers you could save by putting more sheets per roll! Also, I'm curious as to why they didn't package their paper products in more recycled paper instead of plastic? Switching to recycled paper products is one small step anyone can make to help save the planet. Marcal Small Steps paper products makes it easy and cost-effective to do so! Leave a comment on this post and tell us one small step you would like to make to reduce your carbon footprint. Maximum of 7 entries per person. This giveaway ends at midnight PST on May 7, 2010; I will draw a winner at random on May 8 and post the winner's name after the winner confirms acceptance. For additional giveaway rules, click here. Good luck! Disclosure: I received product samples, but was not paid to review the product or give my opinions. Unless clearly stated, the views and opinions expressed here are my own. Happy Earth Day! In honor of the 40th anniversary of Earth Day, I've decided to feature some of my favorite earth-friendly products. I've featured them at one point or another on my blog, and I use them not just for Earth Day, but Every Day -- that's because they're great products in their own right. The fact that they're kinder to the earth than most products is icing on the cake. ionator HOM. We have two of these in our home now, one for the upstairs and one for the downstairs, and they are really all we need to clean our home! This device uses nothing but tap water, and introduces an electrical charge to ionate the water molecules and turn them into lean, green, cleaning machines. I love that my kids can use it to clean up their own spills, yet it's so safe for them that they can spray it into their mouths! ReUsies. Breaking the plastic sandwich bag habit has been really hard for me, but having these ReUsies cloth sandwich bags really helps. My kids love them because they come in such fun designs, I love them because they are so easy to clean, and the earth loves them because they can be used again and again and again, and they don't end up clogging landfills. CafePress SIGG water bottles. SIGG water bottles have been instrumental in cutting down our plastic bottled water habit! I love how the aluminum keeps the water inside cool for hours. And being able to design your own SIGG water bottle -- how cool is that? I'm hoping never to have to lose a SIGG bottle again now that I have my own personalized one that I designed on Cafepress. Trust me, you do not want to be around me on a day that I or one of my kids has lost a SIGG water bottle. Makana Candles. You don't think that something so small and pretty and sweet-smelling as a scented candle could actually be bad for the environment, but it's true. I had no idea that burning paraffin candles was so bad for the environment, but if paraffin is made from diesel byproducts then it does make sense. Burning candles made of natural ingredients like soy or beeswax is much safer for the environment, and that's where candles like Makana Candles come in. They're soy candles that look and smell beautiful, and they're kind to the earth in every way, from the natural oils used to scent them, down to the eco-friendly packaging it comes in. Paper Culture. 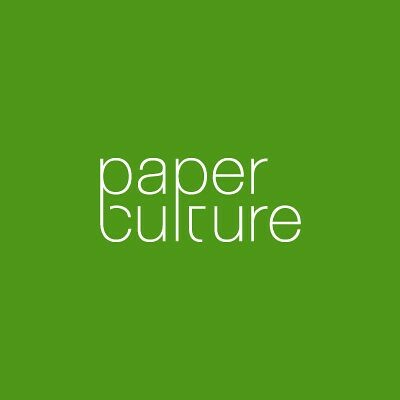 There are lots of online stationery companies around (and I love quite a few of them) and many of them have eco-friendly, recycled paper product lines, but I have to hand it to Paper Culture for really promoting a green culture from top to bottom. Their entire line is printed on 100% post consumer recycled paper that's produced with wind power. Their packaging and envelopes are recycled, and they're a carbon-free company. Not to mention a company that has some really chic and stylish paper designs. Piggy Paint. If there's ever an area where going earth-friendly and non-toxic is a no-brainer, it's kids' products. Who wants nasty chemicals going anywhere near our kids, right? So when I tried out Piggy Paint nail polish, I was delighted to note that it's made of non-toxic ingredients, yet is cute and bright enough to appeal to any little girl's heart. Bummas Baby Cloths. You don't need to have babies to appreciate Bummas Baby Cloths. 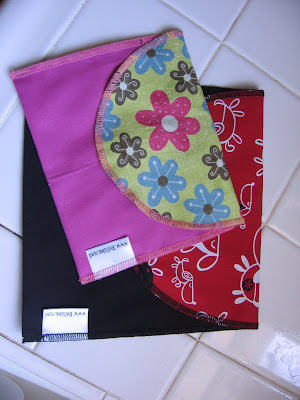 They are great for wiping up any kinds of spills around the household! Just buy a whole bunch and throw them in the wash after you've wiped up a spill. The earth will thank you for using less paper towels! And if you've got babies, Bummas are so wonderfully soft -- unlike baby wipes, which can really irritate babies' skins -- you might just find yourself reaching for a Bummas cloth again and again. Love the Earth. I'll recommend a Sesame Street DVD any day, and this one is the perfect way to celebrate Earth Day with young kids! Who better to teach our children to be kind to the earth than everyone's favorite 3-year old, Elmo? The story is simple and sweet -- Elmo, Zoe and Baby Bear learn about keeping nature beautiful while searching for a rare bird in Bearn National Park -- really teaches kids simple, practical earth-friendly habits. The DVD case even has some great "love the earth" tips for parents. Zippity Doo. The main purpose of this line of haircare products is to prevent lice, but there ain't no lice anywhere near our kids, and we're still using Zippity Doo shampoo, conditioner, hair gel and detangler! That's because these products smell so wonderful and fresh (and so does your hair when you use them!). They're also made with natural and organic ingredients so you know they'll be gentle for your children. But not gentle for lice. And that's fine with me. Baby Bunch Egg Nests. I love the thought of organic cotton on a baby's skin -- no pesticides, no insecticides, nothing but soft cotton on his or her soft little skin. Just a few years ago organic cotton was out of reach of many people's budgets, but now it's more affordable than ever! Take, for instance, this adorable Baby Bunch Egg Nest. 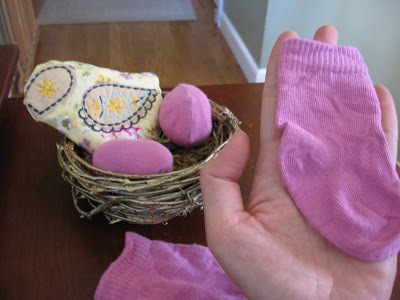 The socks are made of 100% organic cotton, it's cleverly packaged to look like a birds' nest, but at $19.99, it's still an affordable (and stylish and practical) baby shower present. Cafepress organic tees. Who says only babies get to have organic gift items? Kids and grownups deserve affordable, good quality organic clothing too! That's why I was delighted to discover that Cafepress has so many unique gift items made with organic cotton, like these American Apparel organic tees that The Pea and I reviewed. They're soft and stylish and oh-so-earth-friendly. 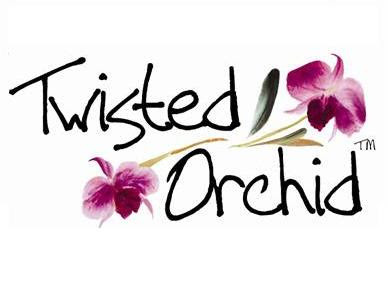 Twisted Orchid Animal-friendly tote. I've never understood what people see in genuine animal fur. Wearing a beautiful animal on one's back has never appealed to me, no matter how beautiful it makes me look. I admit I don't feel pangs of guilt wearing leather shoes, but to hunt and kill crocodiles and snakes and chinchillas just for their skins? No thanks. 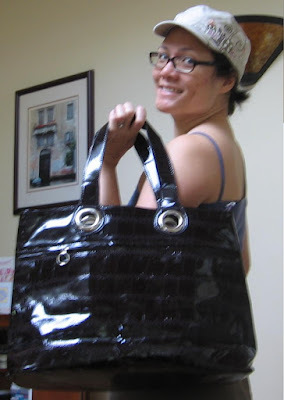 Faux animal skin accessories like my new Twisted Orchid animal-friendly tote are just fine with me. More than fine ,actually. Make that just great! Steaz Teaz. It's not often that I find a store that carries Steaz Teaz (I'm considering picketing the nearest Target until they actually carry some of this yummy flavored iced tea), so when I do I stock up and treasure each refreshing sip. Steaz is also one of those companies that incorporates stewardship of people and planet into their culture. They don't only focus on profits, they care about people people (Steaz is fair trade certified) and the planet (Steaz uses only organic ingredients. Disclosure: Although I have previously reviewed some of the products included in this post, I did not receive a sample or monetary compensation for this post. The views and opinions expressed here are my own. * If you're considering getting a dog for your family, get a family-friendly breed such as cocker spaniesl, pugs, golden retrievers and basset hounds. These breeds are either sweet, affectionate, gentle or playful, and they enjoy being around children. * Involve your child in your dog’s care. Even just the presence of your child in the same room while your dog is receiving his favorite things or activities can help build a positive association to children. * Consider pet insurance! For example, Kroger's PetFirst insurance policies cover routine care and medical procedures for dogs and cats, and works at any veterinarian nationwide, with reimbursement typically occurring within two weeks. Coverage starts at $9.95 per month and right now, individuals who purchase online can save $10. Find out more at http://www.krogerpersonalfinance.com/pet-insurance. You can find more information on family-friendly breeds and more pet safety tips on Kroger’s Pet Health blog. They have a great blog tagline that says it all -- Because Pets are Family, Too. Win a $20 Kroger gift card! The Global Influence Network and the Kroger Co. are providing a $20 Kroger gift card for one lucky Bonggamom Finds reader to spoil the pet in their life! This gift card is good at all Kroger family stores like King Soopers, Ralph's, Fred Meyer, etc..
Leave a comment on this post with your email address and a tip that parents can use to teach their children to play with pets in a safe and healthy way. 1) Upload a photo of your pet to the Bonggamom Finds Facebook page wall . If you don't own a pet, write on the Bonggamom Finds Facebook page wall and say what kind of pet you would like to have (leave a comment with your FB id). 5) Click on this link and enter the CafePress American Idol sweepstakes (leave a comment here telling me you've joined -- this is only valid till April 30, 2010). Maximum of 6 entries per person. This giveaway ends at midnight PST on May 5, 2010; I will draw a winner at random on May 6 and post the winner's name after the winner confirms acceptance. For additional giveaway rules, click here. Good luck! Disclosure: For helping raise awareness of National Kids & Pet Day, the Global Influence Network and the Kroger Co. have generously provided me with a $20 gift card and a $20 gift card to giveaway. The thoughts and opinions here are my own." Help me get to the American Idol Finals, enter to win a $20 Kroger giftcard and enter Cafe Press' American Idol Sweepstakes! The Season 9 Finale of American Idol is on May 25 and 26! It's going to be a great show, with performers like Christina Aguilera and more. And of course, it's the showdown everyone's been waiting for -- who's going to be the next American Idol? Help me get to the American Idol finals! I know you'll all help me out of the goodness of your hearts, but as an added thanks, if you click here and enter the Cafepress AI sweepstakes, you get extra entries into all my open giveaways. Even better, you'll also be entered in a drawing for a $20 Kroger gift card! It's valid at any of the Kroger Co. family of stores (Kroger, Fred Meyer, Ralphs, QuickStop, etc...). Leave a comment on this post to let me know you've used my link to enter CafePress AI sweepstakes. 5) Leave a link to this giveaway on any Giveaway Roundup -- for example, MomDot's Contest Mondays or Jolly Mom's Giveaways Galore. I have links to a bunch on them on my sidebar (leave a comment here with a link to the giveaway roundup as well as the link number so I can find it). Maximum of 26 entries per person. This giveaway ends at midnight PST on April 30, 2010; I will draw a winner at random on May 1 and post the winner's name after the winner confirms acceptance. For additional giveaway rules, click here. Good luck! Disclosure: I did not receive a sample or monetary compensation for this post. Every person who clicks on the links provided to enter the Cafepress American Idol sweepstakes helps me win my own trip to the American Idol finals. The views and opinions expressed here are my own. 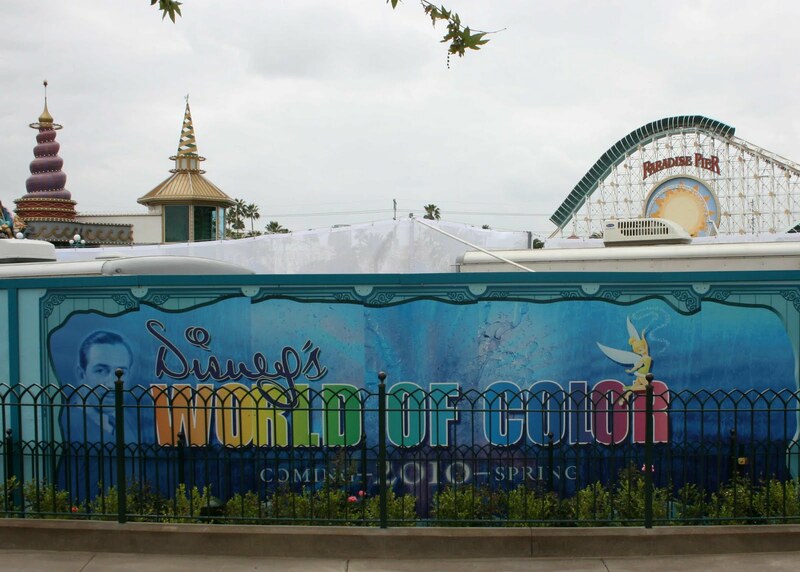 Disney's California Adventure park is all abuzz with preparations for their World of Color nighttime spectacular, set to open June 11, 2010. Posters like the one above are plastered around Disney's California Adventure, teasing and tantalizing all the park goers. California Adventure's Paradise Pier is finishing up construction for the show. See all those grey pipes and whatnot just on the surface of the water? I think they're lights and laser and fountain nozzles. There's now a viewing area -- Paradise Park -- so people have a place to watch the show. Unfortunately, it's not open yet so we didn't get to see it on our Spring Break trip to the Disneyland Resort. Based on what I've read about World of Color on the Disney blogs, it's going to be an amazing show. With the lights and the fountains, I'm thinking it will be similar to the Bellagio fountains (and I've heard the water wizards behind the Bellagio attraction are also working on this show), but knowing Disney, they're going to find a way to take a concept and add a touch of Disney magic to make it truly unique and special. I keep reading about projecting Disney characters onto giant water screens and fire and fog, but I really can't imagine what it's going to be like. I guess I'm going to have to wait and see like everyone else. Disclosure: I received 4 complimentary media passes to Disney's California Adventure, but was not paid to review the product or give my opinions. The views and opinions expressed here are my own. Did you know that the English do not celebrate Mother's Day at the same time as Americans? Their Mother's Day celebration is called Mothering Sunday, and it is held on the fourth Sunday of Lent, NOT on the first Sunday of May. I have found this out many, many times to my great woe -- we never seem to get a card out to Alfie's mother on time. This year we bought the card extra-early, and were quite proud of ourselves. But Lent was also extra-early this year, so once again we were late. Sending cards are a big deal in Alfie's family, so he's always in the doghouse for failing to make sure his cards get to the UK on time! He always says we ought to come up with an online service that lets you buy all your cards up front, then send them to you when the time comes to sign and mail them. As an added bonus for the launch, Tiny Prints is waiving the first year's membership fee and offering the first three greeting cards free when customers sign up for a membership plan! Join the Tiny Prints Twitter Party! Tiny Prints and Resourceful Mommy are hosting a #makeitpersonal Twitter party on April 23 at 9:ooPM EST. Visit the Resourceful Mommy sitefor more details and to RSVP. Win 25 free Tiny Prints Greeting Cards! Tiny Prints and Global Influence have teamed up to offer 1 lucky Bonggamom Finds reader a prize consisting of 25 free Tiny Prints greeting cards! Leave a comment on this post with a link to your favorite Tiny Prints Mother's Day card design. Disclosure: I received free cards from Tiny Prints Greetings so I could try their new service, but was not paid to review the product or give my opinions. Unless clearly stated, the views and opinions expressed here are my own. Olive Smart is offering their customers 20% off to commemorate Earth Day. They were a sponsor at last November's Silicon Valley Moms Blog Holiday Party, and their reusable bags are wonderful -- lightweight, packable and strong. Just use coupon code EARTH2010 between now and April 22nd and receive 20% off on your purchase. Happy Earth Day!! 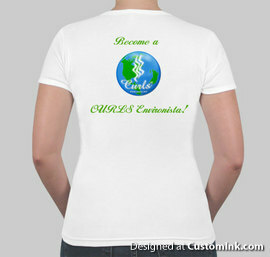 It's Week 3 of the 4 Step Sustainable CURLS™ Campaign -- win a CURLS Environista tee! 3) Help the CURLS Street team meet their goal of raising $2000.00 to donate to New York Cares. Click Donate Now! Every dollar donated to New York Cares equals $6 in service to the community. Visit www.newyorkcares.org to learn more. Every bit helps! 4) Spread the word-Share this info with 5 of your curly friends. 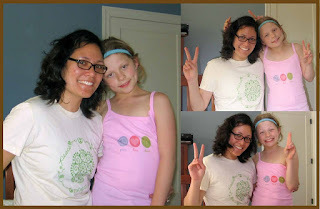 CURLS is giving away one of these cute Environista tees to one lucky Bonggamom Finds reader! To enter, think about what actions you can take, now that you're aware of how your beauty products can impact the environment. Change brings change, and you can make an impact just by changing one thing that you do. What will your One Small Change be? Leave a comment on this post and tell us all about it. Maximum of 9 entries per person. This giveaway ends at midnight PST on May 3, 2010; I will draw a winner at random on May 4 and post the winner's name after the winner confirms acceptance. For additional giveaway rules, click here. Good luck! Disclosure: I did not receive a product sample or monetary compensation for this post. Unless clearly stated, the views and opinions expressed here are my own.